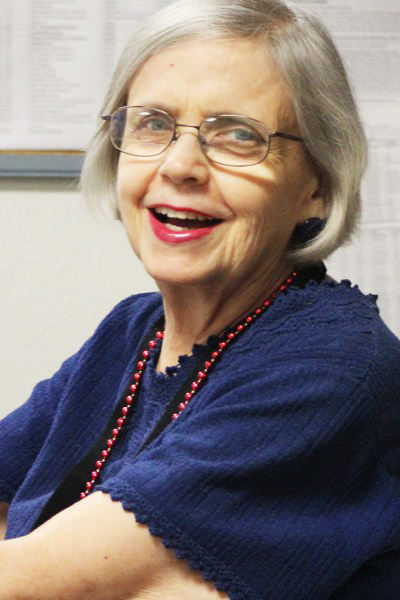 As a reference librarian, Dorothy fills a significant ministry role. Completing a variety of tasks, she maintains resources both for students and for cross-cultural workers across the globe. In addition to processing new books and assisting students, she evaluates reference materials, determining the library’s needs and submitting requests for appropriate resources. Dorothy also addresses questions from linguists serving overseas who lack access to some of the materials available stateside. One of her favorite tasks, performing critical research on their behalf constitutes yet another significant part of Dorothy’s service at Dallas International. Through her position at the library, Dorothy clearly provides invaluable assistance to the many preparing for and engaged in cross-cultural service around the world. Before joining Dallas International, Dorothy gained valuable experience working with diverse other organizations and ministries. After graduating with a bachelor’s degree in Psychology from Texas Christian University, she served as a social worker for several years. Dorothy then joined an inner-city program in Brooklyn for one year, providing kids extracurricular activities and Bible instruction after school, on weekends, and during the summer. Following her time with this ministry, she enrolled in Pepperdine University, where she earned her master’s degree in Psychology. Later, she completed another master’s degree in Guidance Counseling at East Texas State University, after which time she taught high school for one year. Dorothy then worked in both wholesale and retail sales before discovering her desire to become a librarian. Having recognized this interest, she returned to school to study Library and Information Science, earning her third master’s degree at the University of North Texas. For the next fifteen years, Dorothy served at the Brooklyn Public Library, where she eventually became Senior Librarian. When she retired from this position, she continued investigating ways to use her skills to further God’s kingdom. One year later, she joined the staff at Dallas International. With a clear desire to serve others and to contribute to God’s work, Dorothy continues to bless the Dallas International family through her faithful service in the library. Some of Dorothy’s favorite memories include times spent with her family at reunions and Christmas gatherings. In her free time, Dorothy enjoys gardening, going to the gym, listening to classical music, and attending events like Dallas Symphony concerts. If she could go anywhere, Dorothy would like to go to New Zealand. She would love to experience the scenery there!